For home water treatment systems, water softener products sales installation and services for your home, turn to Lifetime Solutions, Inc. We have served Southern California homeowners in Victorville, Whittier, Hesperia, Riverside, CA, and other surrounding communities since 1989, and we strive to provide products and services that will improve your home’s water and help create a more comfortable indoor temperature year-round.  When it comes to home water treatment, we offer an extensive selection of products from RainSoft, the leading manufacturer of residential water treatment products in the United States. Our impressive inventory of whole-house water filters, water conditioner systems, and drinking water systems enables us to address all of our customers’ particular water issues with the appropriate products. For example, our whole-house filtration systems use hysulex carbon filters to neutralize excessive amounts of chlorine, sulfur, iron, and other unwanted chemicals that may be present in your local water supply. We also provide water softener systems that remove magnesium and chlorine ions from home water, reducing water hardness and eliminating negative side effects like calcification or scale buildup in any water-using appliances. Additionally, our drinking water systems can be installed under sinks or plumbed to refrigerators to provide our customers with clean, great-tasting drinking water instantly. In addition to climate control, and home water treatment systems, Lifetime Solutions can also install and service a number of products that can help you breathe easier. 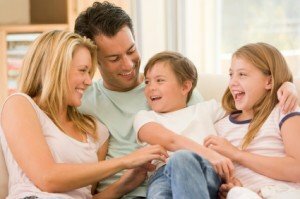 We offer premium air filtration systems from RainSoft, including a whole-house solution that can be installed into your home’s air ducts and uses ultraviolet light to kill airborne bacteria and molds and an ozone lamp to remove odors. We also offer a portable, room-based system which eliminates airborne microorganisms with a six-stage chemical absorption filter. Lifetime Solutions can also install a tankless water heater from a top manufacturer like Navien or Takagi, which can give you access to piping hot water year-round. And, to help you be prepared in the event of a power outage, we offer and install home generators from General Electric which will keep your lights, and other important electrical appliances running even when your area is without power. 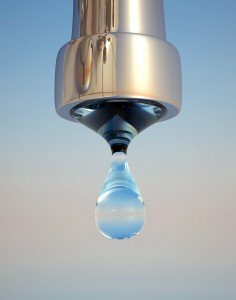 For additional information about the home water treatment systems, water conditioner units and other products we provide in Apple Valley, Highland, Rancho Cucamonga, Anaheim, CA, and all surrounding California communities, contact Lifetime Solutions today. Lets make sure your system is working at peak performance! Check out our water conditioning systems that will remove calcium and magnesium for softer water. Drink clean water straight from the tap with a system that removes carbon and other compounds. We offer a variety of systems that accomplish everything from Chemical filtration to Hardness removal that includes salt free options. Clean your clothes with less energy and no harsh detergents producing less irritation to skin and longer lasting material. Breathe cleaner air by removing pollution to protect yourself against airborne contaminates. There will never be a lull when you reach the tank’s limit - you’ll always have the hot water you want, whenever you need it. See what are customers have to say about us! Rainsoft gives you softer skin! Wouldn't it be nice to step out of the shower and feel soft and smooth all over for the rest of your life? Wouldn't it be better to have all of the harsh detergents rinsed out of your clothes, towels, and sheets for you and your family? Imagine everything in your home being this clean with just a light wipe! Cook and clean with premium water! Imagine your whole family drinking and cooking with premium water. Health is important, isn't it? Do you see how Rainsoft can benefit your entire home? © 2019 Lifetime Solutions | All rights reserved. Tell us About Your Water — Contact us today!